Fit for a Queen…… or at least a great friend or relative who you want to treat as a Queen! Today is Monday and it is time for another My Digital Studio project! Although it is one day late, I would like to wish a Happy Birthday to my sister-in-law, Mary!! Hope your 29th Birthday (again) was awesome!! As you all know, pink is my favorite color so I couldn’t resist creating a queen card using shades of pink. I chose Pink Pirouette, Regal Rose, and Rose Red. 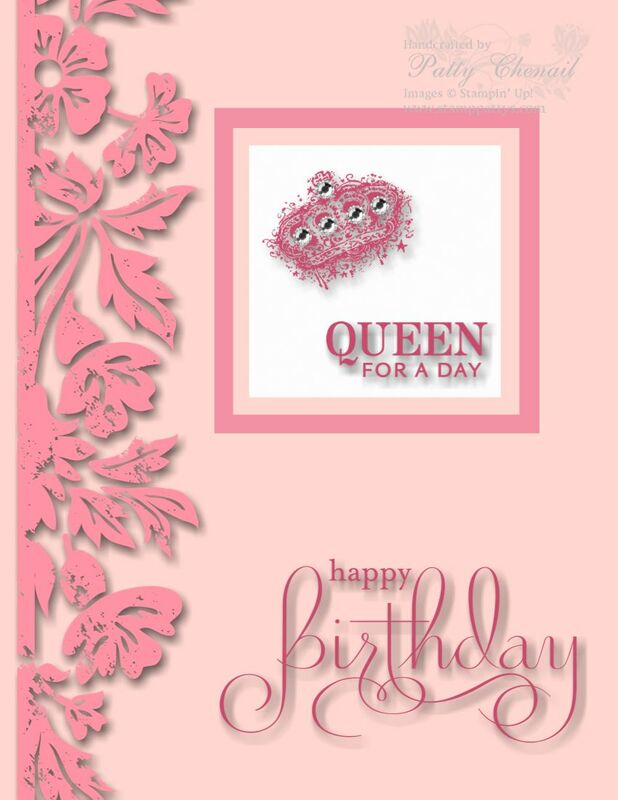 Enjoy your Monday….why don’t you create a queen card today and send it to me so I can share it with everyone!